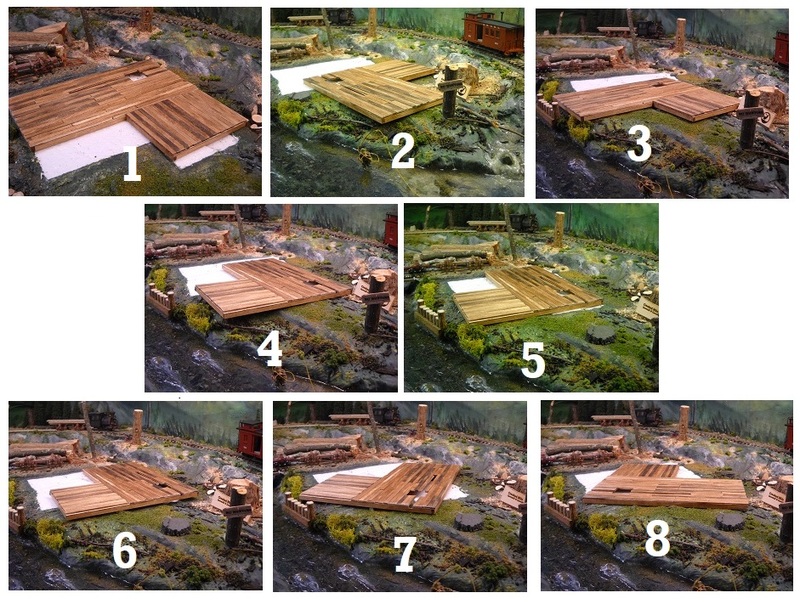 Just ordered a sawmill kit from RSLaserkits. It will need a little adaption to fit my area. Can't wait for it to arrive. This is the initial area I had designated. Going to give my other fisherman (woman) a catch too. First carving the fish from a very small piece of wood. Then some paint and crushed glitter. A splodge of heavy gloss acrylic get for the place and place the fish in the middle. Haven't built RSL kit but did use his stairs and jig. Good stuff! Is your mill going on that slab? Nice work! Yes it will go on the slab but my idea and the kit are opposite in orientation. Got the kit yesterday and reading the instruction, all 13 pages, it looks like a great kit. I will need to do some "adaption" to fit my area. 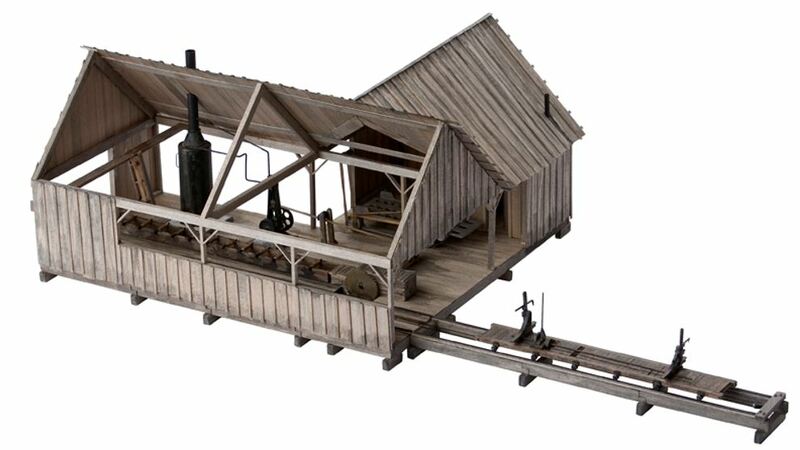 saw mill I cut my own floors for their HO and N scale version I sell. Don't like how he makes the builder cut the slots in the plywood and make the board lines. If you can send me a copy of the floor I will cut one with all the work done. Have not sold a O kit before so had not looked at he directions. Flipping this left to right is a mind trip to follow the instructions. Progress so far, all the below floor work done. Working on the log carriage support. Have to go into my woodwork shop and cut some black walnut just to collect the saw dust. 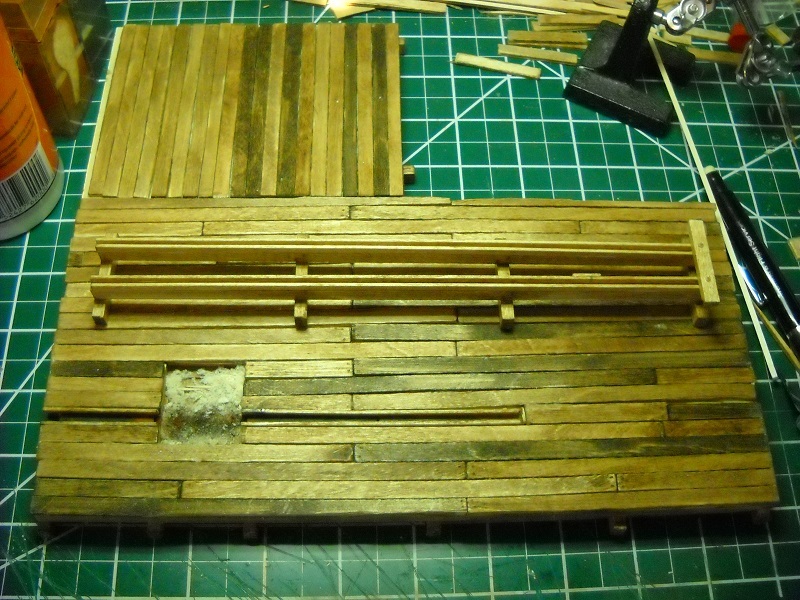 Then I will rub it into the cracks of the floor boards and spritz with a little white glue and water. OK the next process has you cutting 44 5x5s and I can see ahead a lot more precision cuts.So ordered a NWSL Cutter. 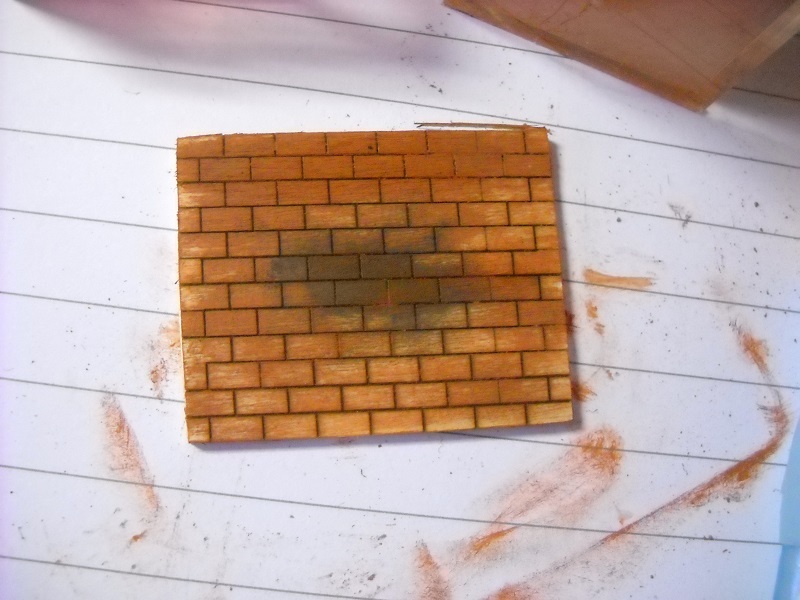 Meanwhile I looked at the cardboard square for the boiler base. Hmmmm just picked up some hobby 1/16" thick mixed bag of squares. So online search for a brick pattern. 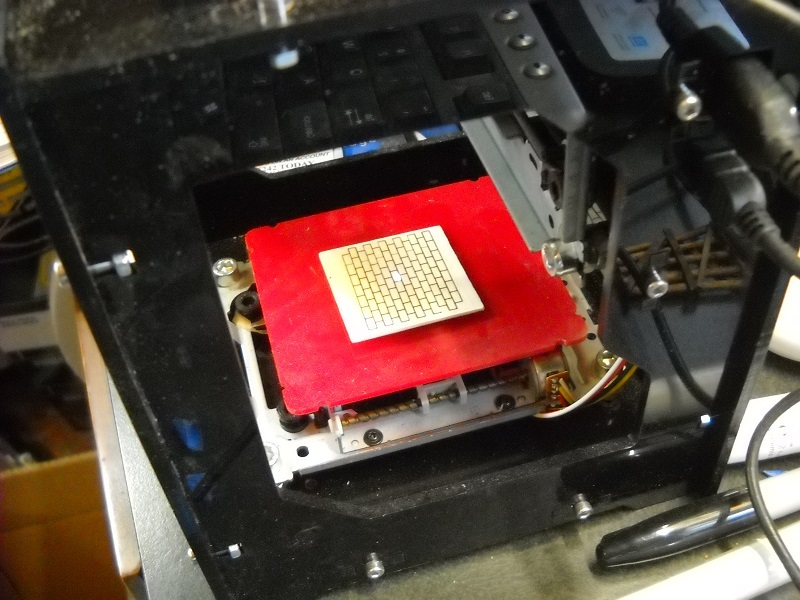 First one I choose when burnt on the laser engraver turned out to be the perfect size and scale bricks... No really what are the chances? 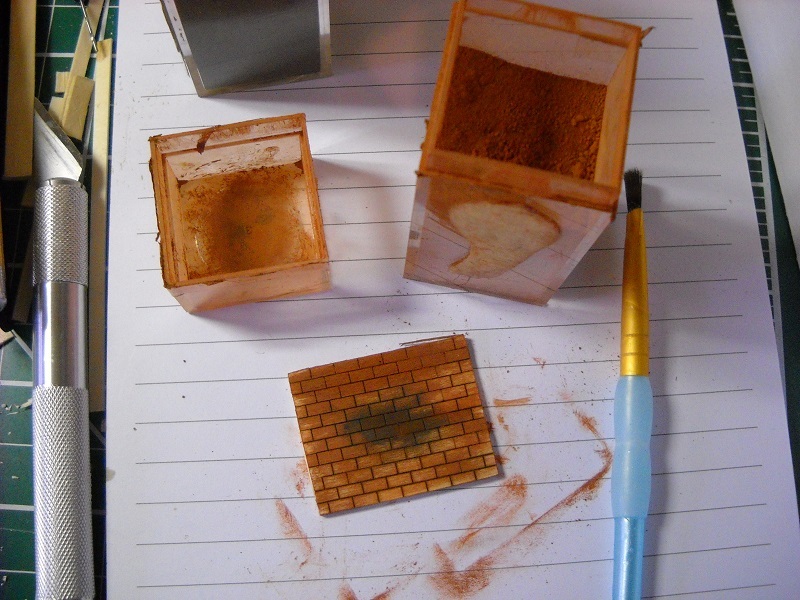 Rust powder for the brick color and texture.